Rocca delle Macie, Chianti Classico, Riserva, 2004. I liked this wine, but didn't love it. It was so inexpensive though for Riserva that I am cutting it some slack. I thought it was really nicely balanced, moderate plus alcohol, grippy but integrated tannins and nice sour cherry fruit, however it was getting a little dried out and these was some VA on the nose that I usually find pleasant in Italian wine, but to me it seemed like this one was just on the verge of being oxidized. BUT the good news is that it got better the longer it was opened, which doesn't make sense actually since I felt it was already a little oxidized (from long barrel age perhaps?) I would suggest a nice rough and tumble decanting and then splashing around in your glass for a bit. It's definitely showing some nice secondary savory notes on the nose. Drink now! Caprili, Brunello di Montalcino, 2004. If I could drink Brunello everyday what a great life that would be! I loved, loved, loved this wine! It was so perfumed, richly textured, firm tannins, which though fairly astringent were still pleasant and had a real stick to the roof of your mouth peanut butter kinda texture. Stunning wine. 100% Sangiovese, as Brunello must be by law. Great vintage. Pick it up! It's not cheap, but what the hell are you waiting for? Drink cheap when you're dead. 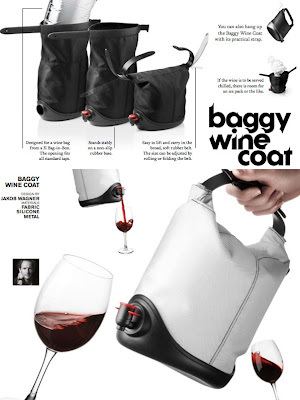 For now, go for it... $56.99 Wine House. Enzo Boglietti, Tiglineru, Dolcetto d'Alba, 2007. I heard from Charles Curtis, MW a few weeks ago in an Italian wine seminar for the IMW residential classes that Dolcetto smells like dog food, I guess this is a marker for some people? I can't say I've ever had that experience but now when I think of Dolcetto all I think of is Kibbles 'n Bits. I really liked this wine, $19.99 at the Wine House, it was darkly colored with black stone fruits, plums, etc., moderate tannins, which gave it a nice astringency on the finish and moderate acidity. It certainly doesn't have the acidity of Sangiovese, Barbera or Nebbiolo, but definitely some dusty minerality, which to me just screams Italy. Verasol, Tn, Tempranillo, Navarra, 2008. For $8 this wine is pretty damn good. Very primary red berry fruit, all done in tank, gives it an aromatic lift with moderate acid and moderate tannin. The first time I tasted this I mistook it for Cotes du Rhone, the second time I blind tasted it in a flight I deliberated, was it Grenache, Tempranillo, maybe inexpensive Merlot? But the more I deliberated the more I knew it was my old friend tempranillo who likes to screw me over in all blind tastings because it's just so moderate everything. Cheap and very drinkable. Summers, Napa Valley, Cabernet Sauvignon, Reserve, 2005. I tasted this in a line-up of Summers Zin, the CS, Matuco Malbec and then 3 wines that I had poured into smalelr bottles for blind tasting. I htink they were Cht. de Negly Languedoc Roussillon, 2007? Olivier Pithon, La Coulee, Cotes de Roussillon, 2007 and a Rioja of some sort. Can't remember that last one! What I liked about the Summers is that it was very typical of the region of production (in others words I nailed it in the blind tasting - go me! ), in this case Napa Valley. It had complex notes of new French oak (those lovely cinnamon and nutmeg baking spice character) and very clean cassis fruit. A really beautifully structured wine with fine-grained tannins, moderate plus, refreshing acidity and a long persistent finish. I preferred it to the Zinfandel mostly b/c I prefer French oak to American oak and Cabernet to Zinfandel. I still felt the Zin was very nice and balanced. Not nearly as extracted or alcoholic as a lot of Zinfandels can be. It was more high-toned with red berry fruit than the CS which leans toward a black fruit flavor profile. So different strokes for different folks. Nice to taste some good domestic wines! They are both available on the Summers Winery website. $35.00 for the Zinfandel and $65 for the CS Reserve. I did a little research online for this beautiful low alcohol (11%) sparkling Italian wine and turns out it's considered the Best Lambrusco in the World! Well, I will have to agree besides the Concerto by Medici Ermite, which is also incredibly beautiful. I loved this totally dry sparkling red wine first and foremost b/c it's low alcohol so I can drink a lot more of it. Second, it has great fruit extraction and tannin too, which make the finish long lasting (for this style anyway). Highly recommended for a romantic evening in! A really great vintage in Tuscany this was a great wine for $29.99. I think I nailed it in my blind tasting too if remember correctly, so they clearly made this one right. I love the ripe sour cherry fruit, moderately astringent tannins, dusty minerality and firm but silky tannins. I'm getting thirsty just thinking about it. Robert Weil, Riesling, Rheingau. Kabinett, Halbtrocken, 2007. Picked at Kabinett sweetness level, but almost fermented dry, I love this crisp, refreshing style. Apply, firm acidity, no petrol notes yet... but I can see that they will develop over time. I'm clairvoyant like that. Super delicious and on sale at K&L for $14.99. What???? I guess the economy has hit hard in H-Wood. Damn! I can't read the vintage, and the bottle has long since been recycled, but you know it's like 2005, 2006 or 2007, whatevs! We really enjoyed this bottle. I like Langhe Nebbiolo because the tannins are really quite approachable when young compared to Barolo and Barbaresco and of course, far less expensive. I think I actually blind tasted this one for Chianti Classico. I keep getting Nebbiolo and Sangiovese confused in blind tastings, which may seem crazy to some, but it's just a thing I've got. Around $22 at the Wine House. This little guy needs a home! His name is Jack, he's 5 years old and a real love bunny. Email me if you're interested and want more info. Parigot, Bourgogne Brut, Cremant, NV. I can't call this a rosé, cause it's so damn red, like Valentine's day red, but it's also not as intensely red as a sparkling Aussie Shiraz. It's kinda in between. I love the Parigot rosé for great value sparkling wine, but this baby is much deeper and richer and even has a slight phenolic textural component to it that makes your tongue quiver. Loads of ripe black cherry, wet stone minerality and lively, refreshing acidity. Just what Cupid ordered for V-Day. Easy to polish off a bottle between 2 people with the added potential for romance following consumption. A fun, surprise sparkling wine from Burgundy. It's surprisingly pretty widely available. El Vino, Domaine LA, Woodland Hills Wine Company. Priced around $22-$25. Light ruby color, red berry fruit profile, moderate minus soft tannin, good mid-market quality (moderate persistence on finish, light complexity of garrigue character), high alcohol (14%) point to Southern Rhone, Vacqueryas, Lirac, Cotes du Rhone. Primary red fruit character, moderate persistence on finish and simple style confirm Cotes du Rhone. Translucent ruby color, garrigue aromatics, fine-grained moderate minus tannin, raspy mid-palate with moderate acidity, raspberry framboise flavor profile points to Grenache dominant wine. Light brambly character and ripe black plum aromatics indicates use of Syrah. High alcohol (14%) and use of inert wood vessel consistent. Youthful, bright translucent ruby color, fresh plum character indicate 2-3 years old. High alcohol points to ripe vintage 2006, 2007. Lacks baked fruit intensity of hot and dry 2007 vintage. 2006 by cooler August weather than 2007, which allowed for full phenolic and sugar ripeness, some rain near harvest prevented over ripe fruit character found in 2007. Drink now for fruit purity, but has some tannin and good fruit intensity to hold in bottle another 3-4 years, though lacks fruit concentration and more intense garrigue elements to develop further complexity. I originally had this wine in Vacqueryas, as it is a much better example of Cotes-du-Rhone than I usually taste. So I'm not quite sure how to funnel it down to CdR over Vacqueryas or Lirac. In trying to distinguish these in a blind tasting, anyone have, first, any good arguments notes for structural differences and second, aromatic profiles? Much appreciated!!! Craggy Range, Riesling, Marlborough, NZ, 2008. Wow. This wine was an acid bomb. And you know I love acid and embrace acid, but I'm on this fence about this one. I like it, don't get me wrong, I wouldn't write about it if i didn't, but I mean, JEEZ LOUISE as my mother would say, this is one acidic mother, if you know what I mean. Like biting into a ripe lemon, with a little bit of candied character, medium bodied, a slight petrol note, it was refreshing. But it needs food. Preferable something very fatty and creamy to cut through the acidity. I think the pH is like 2.9, which is close to a lemon. At any rate, you have to try it if just for the experience of saying that you did. It's like jumping off a bridge. Only safer. And it probably won't kill you. Unless you're allergic to acidity, which would be ridiculous.